Youthful, funky, and fabulous represents this eccentric brand. 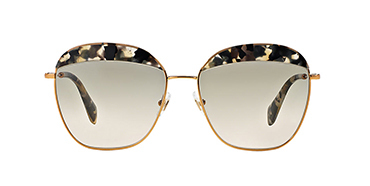 Miu Miu is for the visionary lover, and with each pair of sunglasses display creativity. Miu Miu vintage glam designs debuted in 1993 with Italian designer Miuccia Prada. With the levels of Miu Miu fashion, and it’s luxury eyewear collections demonstrated the glamourous side of eclectic style. 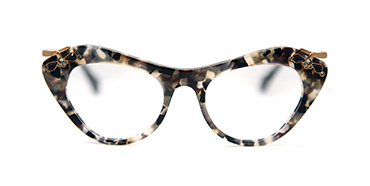 Introducing the sunglasses with acetate and metal frames with silhouettes of square, butterfly, round, cat-eye shapes. Along with striking sunglasses with cut-out effects on lens, rimless styles, and adoring feminine colors to spice up any season. It’s all about distinctive angles, and Miu Miu sunglasses & eyeglasses give you that plus a bold street style look.